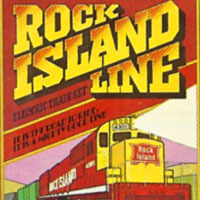 Train sets are complete starter packages offered by various model manufacturers that include a locomotive, cars, track, and a power pack. 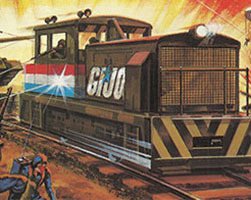 Some sets also include special accessories, such as trestles, tunnels, and buildings. 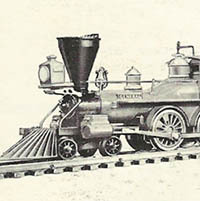 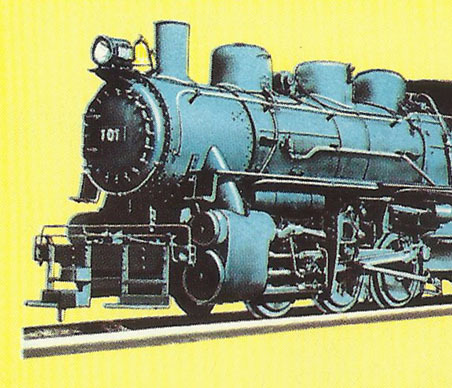 Dating to around 1970, AHM’s Dockside Gandy Dancer train set came with a hobby mainstay Dockside 0-4-0 steam locomotive. 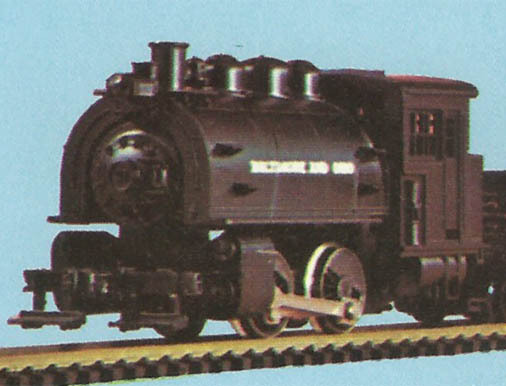 One of AHM’s basic HO-scale train set offerings to feature a steam locomotive was the Pufferbelly Freight Set. 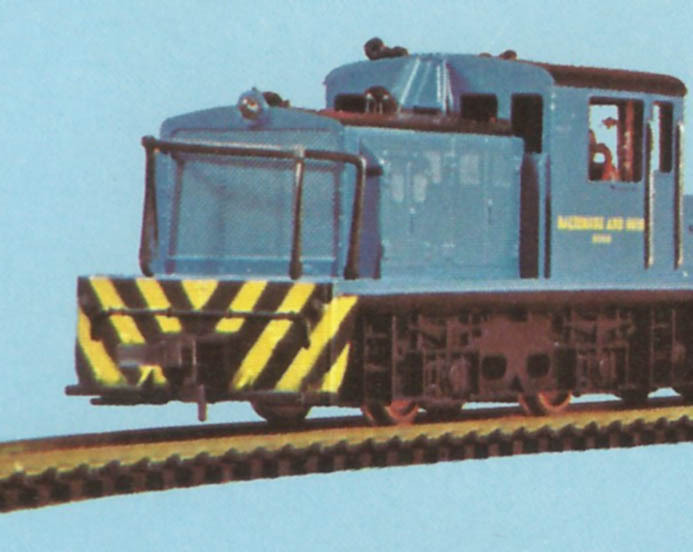 AHM’s Diesel Dancer provided a very basic example of an HO-scale train set. 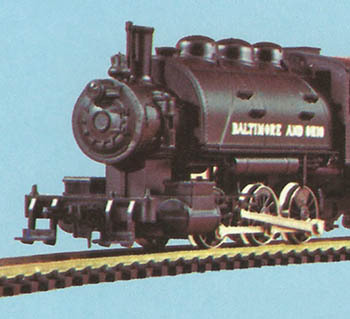 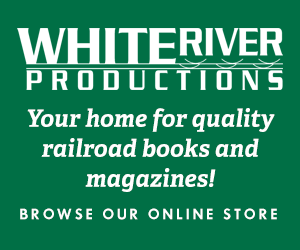 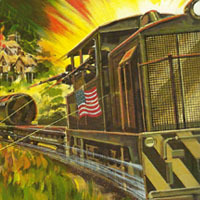 AHM’s Overland Express was a 1960s train set release with 0-6-0 steam locomotive. 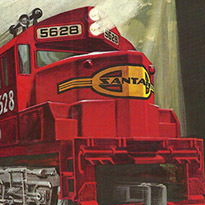 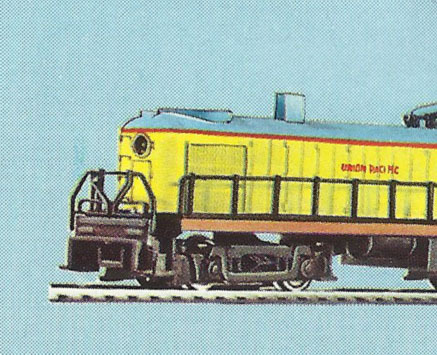 AHM’s Rocket Freight was a 1960s train set release with an Alco RS-2 diesel locomotive.